The GALAX Hall of Fame drives are based on Phison’s PS5012-E12 controller (NVMe 1.3, eight NAND channels with 32 CE targets, a DDR4/DDR3L interface for DRAM caching, LDPC, etc. ), Toshiba’s BiCS 3D NAND flash (256 Gb 64L 3D TLC is the most likely), and feature a PCIe 3.1 x4 interface. The drives are offered in 512 GB, 1 TB, and 2 TB configurations, which to a large degree emphasizes their premium positioning. Depending on the version, the HOF SSDs come in M.2-2280 module as well as HHHL card form-factors. 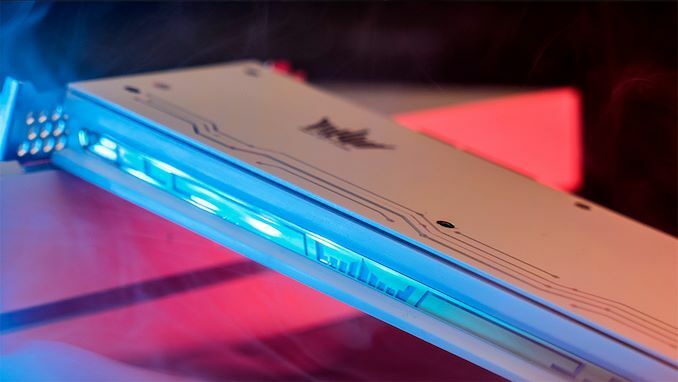 The latter features a CNC-machined cooling system with a heat pipe to ensure consistent performance of the drives under high loads, whereas the former has a typical heatsink as well as RGB LEDs controlled using proprietary software. When it comes to performance, the drives offer something that one would expect from a Phison PS5012-E12-powered device. The GALAX Hall of Fame SSDs claim to provide up to 3400 MB/s sequential read speeds, up to 3000 MB/s sequential write speeds (2 TB HHHL version, see the table below for exact specs of other drives), as well as up to 460K/660K random read/write IOPS. Meanwhile, it is noteworthy that similarly configured M.2 and HHHL drives are rated for different performance levels, which means that the SSDs are tuned differently (possibly because of heat dissipation of the controller). 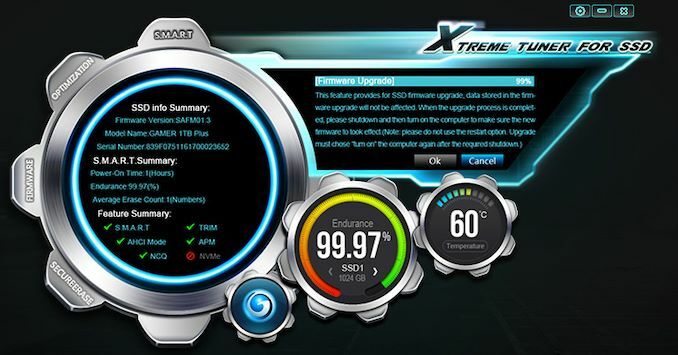 One interesting feature of the GALAX Hall of Fame SSDs is bundled Xtreme Tuner For SSD utility designed by the company. The program supports monitoring of the drive (temperature, endurance, etc. ), can upgrade its firmware, and even optimize performance. 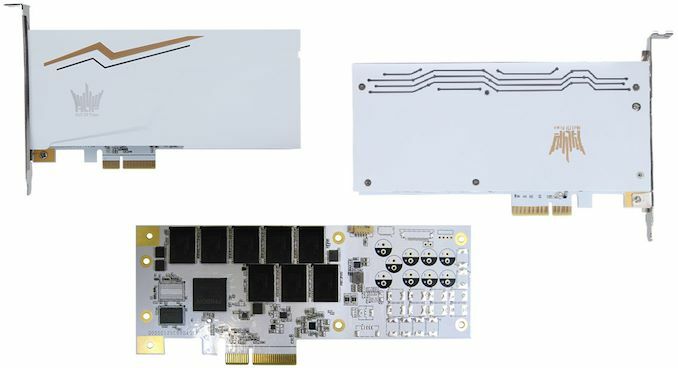 Considering the fact that Phison usually supervises manufacturing of SSDs based on its controllers and essentially sells SSDs, not controller chips, the fact that GALAX now offers software for customization of its PS5012-E12-powered drives means that the company has done some additional R&D work and its products offer more than typical Phison-based SSDs do. 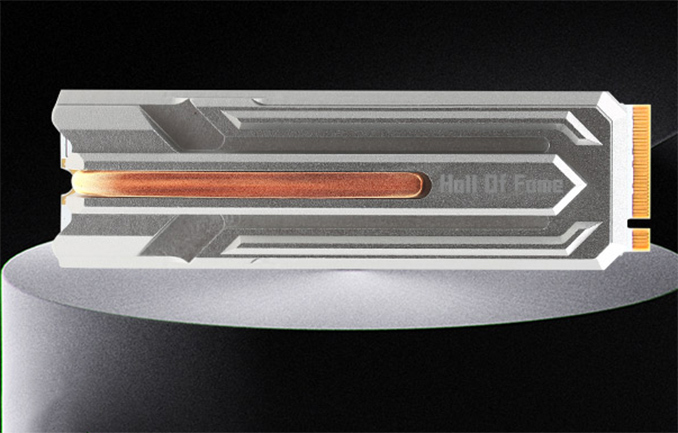 At present, the GALAX HOF SSDs are available primarily in China. It remains to be seen whether Palit decides to offer them in other countries and which trademarks they will carry. Extremely displeased with the gigantic waste of space where they aren't putting power loss protection for the HHHL aib version. "While Palit mainly sells ultra-high-end video cards" - nope. Palit is a budget brand, so is Galax. The exception is the Galax HOF series which is indeed high-end. >it's about time someone (in addition to WD) came up with decent heatsinks for NVMe SSDs. Why? In most cases they simply don't need them. This thing has a gimicky heat pipe which will do little to dissipate heat, but does render it useless for laptop installation, and might interfere withsome bigger GPU coolers depending where on the baord it goes. 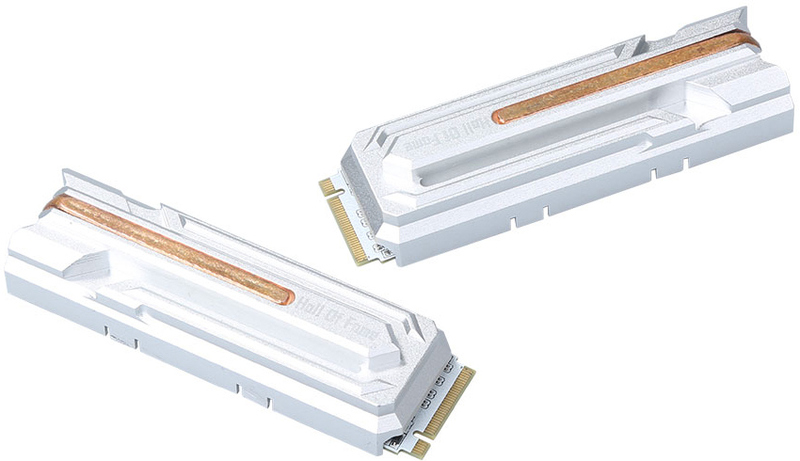 pretty much, the difference is a heatsink done right actually helps SSD especially modern ones as they get faster and faster and NEED a propr heatsink (for the fast as lightning ones of course) not to mention electronics like to stay at a medium heat level vs spiking up and down. 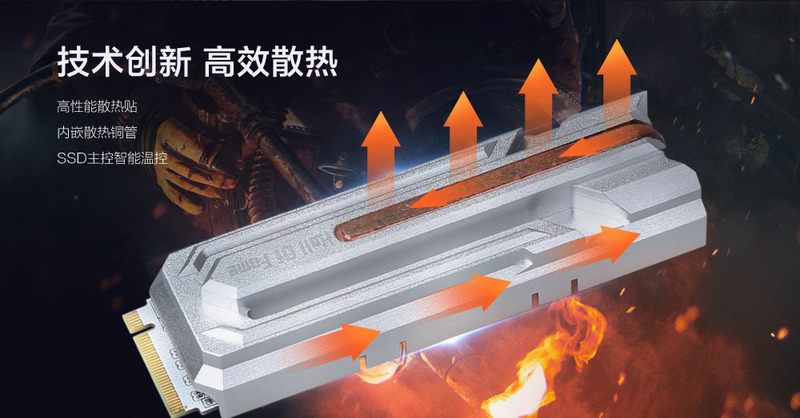 some like MSI heatshield attempts are just terribad, that being said this is not like DDR4 @1.25-1.35v where they do not need ram sinks at all where older gens might have needed, whereas drive wise they did not need much of any heatsink ability but now being nvme etc etc if consumers expect certain performance levels constantly the only way maybe to achieve that is via heatsinks so not throttle etc.